Hispanic, black and Asian mothers make up the majority of births in the United States at this time. It is evident that nationwide, white Americans will become a minority within about three decades and will “…be reliant on younger minorities and immigrants for our future demographic and economic growth.”2 Nevertheless, the dramatic proportional increase in the numbers of Asian residents is overshadowed by the magnitude of the continuing numerical increase of Hispanic residents in the country. For example, between 2010 and the next census in 2020, the Census Bureau projects that the Asian population will increase by about four million residents, compared to an increase of about 13 million Hispanics. During this period, the Asian population component of total population will increase from 4.7 percent to 5.6 percent. By comparison, the Hispanic component of the total population will increase from 16.3 percent to 19.1 percent (see Table 1). • A large proportion of these six groups, ranging from 18.5 percent Asian Indians to 43.2 percent of Filipinos reside in California. Almost a quarter (23.9 percent) of Japanese Americans resides in Hawaii (see Graph 1). • The basic demographics of these groups are different on many measures. For example, Indian Americans lead all other groups by a significant margin in their levels of income and education. The Census Bureau 2011 American Community Survey reported that an estimated 6.4 percent of Asian-Americans (956,000 residents) had one or more severe disabilities, including 65,000 children (2.0 percent of Asian children) less than 18 years of age. (Note: Among Asian alone children in combination with one or more other races, the Census Bureau reported that there were an estimated 100,700 youngsters (or 2.2 percent) with severe disabilities.) The overall rate of Asian-Americans of all ages with severe disabilities was the lowest compared to all other U.S. race/ethnicity populations, which ranged from Hispanics (8.4 percent) to highest levels for whites (12.5 percent), blacks (13.9 percent) and American Indians/Alaska Natives (16.3 percent). 6 Among the states (for which data are available) the proportion of Asian children with severe disabilities ranged from less than 2 percent in eleven states (AZ, CA, GA, IL, LA, MI, NJ, NY, TX, VA, WA) to 4.6 percent in Kansas and 4.8 percent in Oregon – with almost 19,000 Asian children with disabilities in California (see Table 2). disabilities) are less likely to be employed than non-Asians with disabilities. Asian Americans with disabilities who also lack English proficiency are reported to have the most significant labor market disparity, with only 9 percent of non-English-speaking Asian Americans employed—a lower rate than any other racial group. Among non-English-speakers of Mexican descent with disabilities, the U.S. employment rate was 13.5 percent. Non-English-speaking Asian American women with disabilities recorded the lowest employment rate (7 percent) of any comparison group.8 The Affordable Care Act expands access to preventive care and can help reduce health disparities for Asian American and Pacific Islanders (AAPI) by helping to prevent many diseases that have a disproportionate impact on this group. Recommended preventive services covered without cost-sharing under the health care law include well-child visits, blood pressure and cholesterol screenings, Pap smears and mammograms for women and flu shots for children and adults. An estimated 2.7 million AAPI with private insurance currently have access to expanded preventive services with no cost-sharing because of the health care law. In addition, young AAPI and adults under age 26 who would have been uninsured now have coverage under their parent’s employer-sponsored or individually purchased health plan. This means that more than 97,000 Asian Americans have gained coverage. 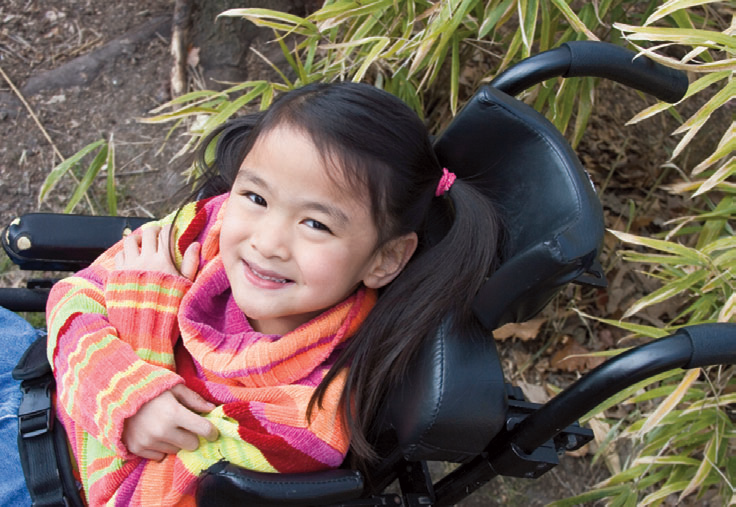 9 The increasing minority populations, in particular the Hispanic population with disabilities, may overshadow the relatively smaller number and proportion of Asian children with severe disabilities. ff06.html Accessed August 29, 2013. 2. Centers for Disease Control and Prevention. Health United States 2011. Available from: http://www.cdc.gov/nchs/data/hus/hus12.pdf Accessed July 10, 2013. 3. Ennis SR, Rios-Vargas M, Albert NG. Census Bureau, Hispanic Population 2010. Available from: http://www.census.gov/prod/cen2010/briefs/c2010br-04.pdf Accessed August 22, 2013. 4. U.S. Census Bureau. Population projections 2015-2060. Accessed from: http://www.census/gov/population/projections /files/summary/NP2012-T4.xls Accessed August 22, 2013. 5. Hoeffel EM, Rastogi S, Kim MO, Shahid H. Pew Foundation. The rise of Asian Americans. Web site: http://www.pewsocialtrends.org/2012/06/19/the-rise-of-asian-americans/ Accessed August 30, 2013. 6. U.S. Census Bureau. 2011 American Community Survey. Website: http://factfinder2.census.gov Accessed August 21, 2013. 7. Baker DL, Miller E, Dang MT, Yaangh CS, Hansen RL. Developing culturally responsive approaches with Southeast Asian American families experiencing developmental disabilities. 8. Ha J. Among disabled job seekers, Asian Americans fare worst. January 2013. Web site: http://iamkoream.com/january-issue-amongdisabled-job-seekers-asian-americans-fare-worst Accessed August 30, 2013. 23/removing-obstacles-care-asian-americans-and-pacific-islanders Accessed August 30, 2013.